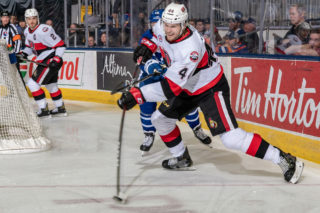 The Ottawa Senators opened its 2018 Rookie Tournament campaign with a convincing 4-0 win over the Montreal Canadiens at Place Bell in Laval Friday night. 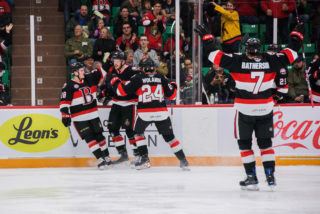 Led by Belleville head coach Troy Mann, Ottawa had goals from Brady Tkachuk (2), Alex Formenton and Christian Jaros while Filip Gustavsson made 15 saves. 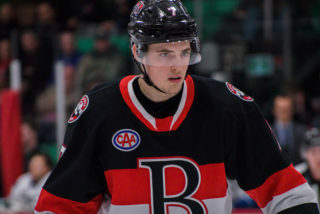 The Sens came out blazing in the first period and nearly opened the scoring inside the opening minute as Christian Wolanin’s drive from the blue-line hit the post. 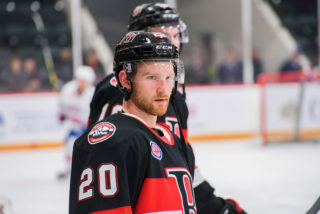 Ottawa struck first short-handed as with Parker Kelly in the box, Gregor MacLeod forced a turnover, chipped the puck forward to Formenton who beat Samuel Harvey blocker-side for a 1-0 lead at 13:32. 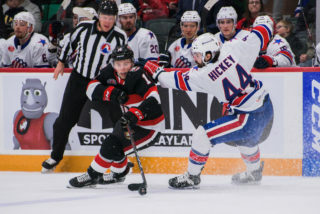 The Senators nearly doubled its lead moments later as 2018 first round pick Tkachuk rattled the post with a wrister as the Sens closed out the opening period with a 14-5 advantage in shots. 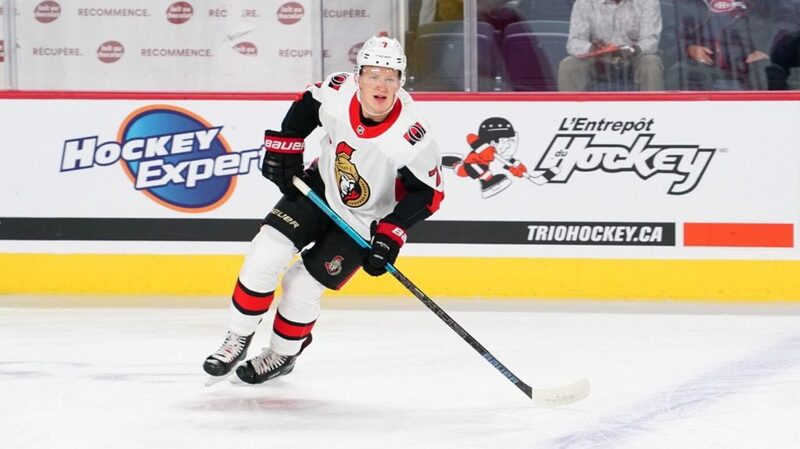 It took just 54 seconds into the second for Tkachuk to ‘wow’ the Sens faithful as he made it 2-0 with a dazzling display of skill as he collected the puck down before pulling it through the crease and then chipping it past Harvey with a backhander. It was 3-0 at 10:34 as Jaros wired a slap shot after Kelly laid the puck on a tee for the Slovak defenceman before Tkachuk grabbed his second of the night as he banged in the puck on the doorstep on a two-man advantage with 1:45 left in the second. 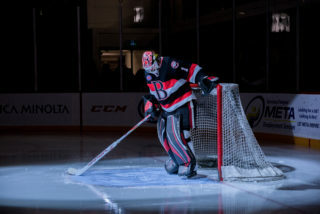 In a game in which he was rarely tested, Gustavsson made a big left pad save on Lukas Vejdemo to keep shutout in tact in the third period as Ottawa collected a comfortable victory. Filip Chlapik had two assists for the Sens who are back in action on Saturday at 3pm against Toronto. The game can be seen live by clicking here.